GRAFENWOEHR, Germany — Col. Adam J. Boyd assumed command of U.S. Army Garrison Bavaria here at a ceremony June 27. 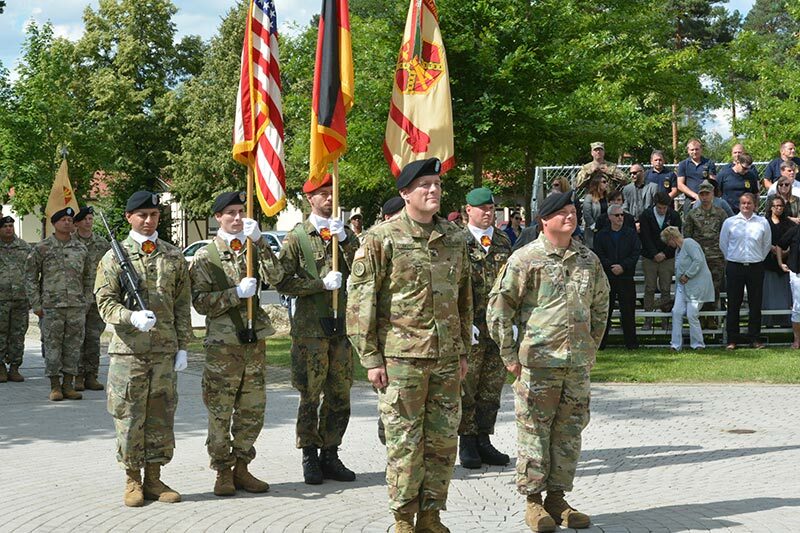 The ceremony and passing of the command’s colors was presided over by Michael Formica, director of U.S. Army Installation Management Command Europe. “In just the past six months, nearly 10,000 service members from almost 30 countries have used ranges here during competitions or exercises overseen by 7th Army Training Command,” Formica said of U.S. Army Europe’s training command headquartered in Grafenwoehr. “As part of Strong Europe, USAG Bavaria is helping to advance individual and unit warfighter skills, while also serving as a power projection platform,” Formica said. Boyd arrives at a time when USAG Bavaria is serving as Europe’s lone Mobilization Force Generating Installation. Additionally, the garrison has been functioning as a “power projection platform” as U.S. Army Europe has been receiving continuous troop rotations of U.S.-based armored brigade combat teams to Bavaria and the greater European theater.